The full roster of Legends characters available in Apex Legends. With Apex Legends now available on PC, Xbox One, and PlayStation 4, players have the opportunity to try out all of game’s characters called Legends. Right now, there are eight different characters available in Apex Legends, with new characters to be added in the future. Each of these Legends have different Abilities that give them a unique approach to battle. Whether you want to be the one that provides support to your teammates, or earns the most kills in a match, there’s sure to be a Legend perfectly suited to your playstyle. For a closer look, we’ve put together a comprehensive guide featuring all eight Legends characters available in Apex Legends! Below, we highlight all eight Legends currently available in Apex Legends. As of the time of this writing, there are eight different Legends available in Apex Legends. In the future, Respawn Entertainment has confirmed that more characters will be added. To unlock these Legends, you’ll need to earn digital currency such as Legend Tokens or Apex Coins. For more on how microtransactions work in Apex Legends, be sure to check out our previous guide. Below, we’ve listed all of the available Legends in Apex Legends along with their official description courtesy of the Apex Legends page on EA’s website. Passive Ability: Tracker - Foes leave clues behind for you to find. Active Ability: Eye of the Allfather - Briefly reveal enemies, traps, and clues through all structures in front of you. Ultimate Ability: Beast of the Hunt - Transform into the ultimate hunter. Enhances your senses, allowing you to see cold tracks and move faster. Active Ability: Dome of Protection - Throw down a dome-shield that blocks incoming fire. Ultimate Ability: Defensive Bombardment - Call in a concentrated mortar strike on a position you mark with smoke. "Gibraltar is a gentle giant with a wild side. The son of two SARAS (Search and Rescue Association of Solace) volunteers, he has always been skilled at getting others out of dangerous situations that are common in the Outlands. However, he only began to understand the value of protecting others when he and his boyfriend stole his father’s motorcycle, took it on a joyride, and got trapped by a deadly mudslide. His parents saved them, and his father lost an arm in the process. Gibraltar has never forgotten that sacrifice and has devoted his life to helping those in need. The Apex Games didn’t change that, but they changed what it meant. Many of Gibraltar’s friends and colleagues have competed in the Games for extra money, fame, and glory over the years, and some never came home. Gibraltar joined to keep them safe and, for the first time, his skills as a rescuer and his rebellious nature worked together. He’s now become an icon in the Apex Games, putting himself in the line of fire to protect his squad and send his opponents running for cover. Passive Ability: Combat Medic - Revive knocked down teammates faster while protected by a shield wall. Healing items are used 25% faster. Active Ability: D.O.C. Heal Drone - The Drone of Compassion (DOC) automatically heals those near it over time. Ultimate Ability: Care Package - Call in a drop full of high-quality defensive gear. "Ajay Che, aka Lifeline, isn’t someone you would expect to find in the Apex Games. Once the child of wealthy war profiteers, she left home when she learned of the damage her family had caused and enlisted in the Frontier Corps, a humanitarian organization that aids Frontier communities in need. She’s since devoted her life to helping others and joined the Apex Games to fund the Frontier Corps with her winnings. Since no one in the Games is innocent — they all know what they signed up for — and every one of her victories means help for those in need, Lifeline has no problem engaging in the popular bloodsport. Or so she tells herself. She may seem sarcastic and callous, but deep down she wants to help people and make the world a better place. If that means taking a few people down in the process, so be it." Active Ability: Grappling Hook - Grabble to get to out-of-reach places quickly. Ultimate Ability: Zipline Gun - Creates a zipline for everyone to use. "Pathfinder is the picture of optimism, despite his circumstances. A MRVN (Mobile Robotic Versatile eNtity) modified to specialize in location scouting and surveying, he booted up decades ago in an abandoned laboratory with no idea who created him or why. With only his MRVN designation to hint at his identity, Pathfinder set off in search of his creator. Pathfinder has learned much in his travels since then (like how to make a mean Eastern Leviathan Stew) but hasn’t come any closer to finding his creator. Still, he’s never given up hope, and has joined the Apex Games to gain a following--and hopefully draw the attention of his maker. In the meantime, he remains enthusiastic and helpful, always ready to make new friends (then shoot them)." Passive Ability: Voices from the Void - You hear voices when danger approaches. Active Ability: Into the Void - Reposition quickly through the safety of “void” space, avoiding all damage. Ultimate Ability: Dimensional Rift - Link 2 locations with portals for 60 seconds. "Wraith is a whirlwind fighter, able to execute swift and deadly attacks and manipulate spacetime by opening rifts in the fabric of reality — but she has no idea how she got that way. 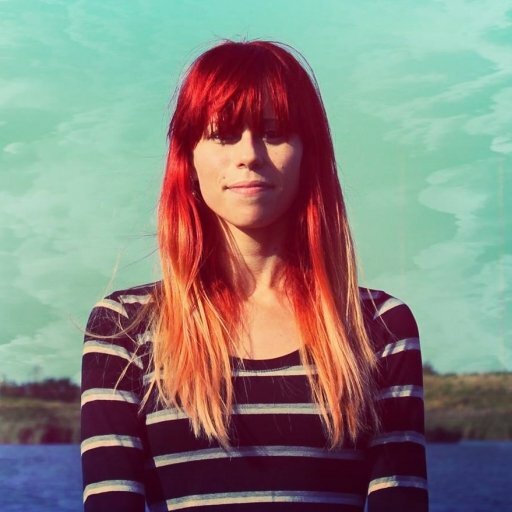 Years ago, she woke up in an IMC Detention Facility for the Mentally Ill with no memory of her life before. She also began hearing a distant voice whispering in her mind that would keep her awake for days on end. Despite nearly driving her insane, once she started to listen and trust it, the voice helped her harness her newfound power of void manipulation and escape the facility. Determined to uncover her true identity, Wraith began a quest to find out more about the experiments. Many of the old research facilities, however, are buried beneath heavily guarded arenas used for the Apex Games. Now Wraith has joined the competition, and with every match she gets closer to the truth." Passive Ability: Doubletime - Taking fire while sprinting makes you move faster for a brief period of time. Active Ability: Smoke Launcher - Fire a high-velocity smoke canister that explodes into a smoke wall on impact. "Born into a military family where she, her parents, and her four older brothers all served in the IMC Armed Forces, Bangalore has been an exceptional soldier since she was young. She was top of her class at the IMC Military Academy and the only cadet who could take apart a Peacekeeper, equip it with a Precision Choke hop-up, and put it back together in under twenty seconds – blindfolded. Three years ago, Anita and her brother Jackson were ordered to retrieve a mercenary fleet from the Outlands to aid in the IMC’s fight against the Militia. However, their unit lost contact with IMC HQ and were ambushed on arrival. The squad scattered, but Jackson stayed behind to give his sister time to escape. Alone and with no way home, Anita put her training, extensive weapon knowledge, and competitive spirit to work by joining the Apex Games. Now, she fights to raise money for passage back to the IMC home base, where she hopes to reunite with what remains of her family." Passive Ability: Nox Vision - You gain threat vision on enemies moving through your gas. Active Ability: Nox Gas Trap - Place up to 6 canisters that release deadly Nox gas when shot or triggered by enemies. Ultimate Ability: Nox Gas Grenade - Blanket a large area in Nox gas. "Before there was Caustic, a scientist named Alexander Nox worked at Humbert Labs, the Frontier’s leading manufacturer of pesticide gases. With a glut of pesticides needed to protect the growing Frontier colonies’ crops, Humbert Labs was constantly on the hunt for better and stronger formulas. Nox was one of their brightest scientists and worked day and night developing new gases. But to make sure they worked, he needed to test them on more than just inert tissue: he needed something living. As he toiled in secret, Nox began to see the beauty in his creations and their ability to destroy anything they touched. But the head of Humbert Labs soon discovered his gruesome experiments, and their confrontation ended with the lab in flames and its chief dead. Today, Nox is missing and presumed deceased. Caustic, meanwhile, now finds new test subjects in the Apex Games, where he puts his gaseous creations to work and observes their effects with great interest." Passive Ability: Encore - Automatically drop a decoy and cloak for 5 seconds when knocked down. Active Ability: Psyche Out - Send a holographic decoy to confuse the enemy. Ultimate Ability: Vanishing Act - Mirage deploys a team of decoys to distract enemies while he cloaks. "Mirage is the kind of guy who likes to stand out. The youngest of four brothers, he perfected the art of fooling around to get attention. The one thing he took seriously was Holo-Pilot technology: introduced to the illusion-creating tech by his engineer mother, he poured over the mechanisms and learned all he could about them. Even when his brothers went MIA during the Frontier War, Mirage and his mother continued to develop holo devices, and the work brought them closer. While working as a bartender to make ends meet, Mirage heard amazing stories from his patrons about the Apex Games and the wealth and glory that came with victory. As good as both of those sounded, he knew he couldn’t risk leaving his mother childless – until she gave him a set of customized holo devices and told him to follow his dream. Mirage is now the life of the Apex Games, outwitting opponents and charming audiences across the Outlands." 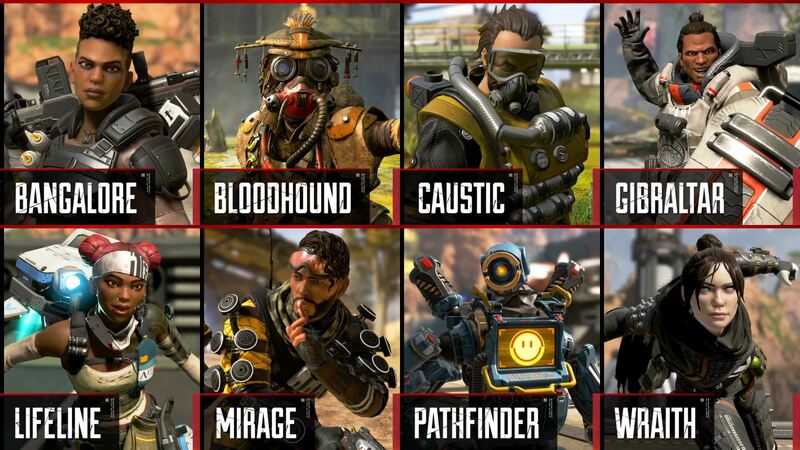 After looking at all eight Legends available in Apex Legends, which character is your favorite and why? Let us know down in the comments below! For more on Apex Legends, be sure to check out some of our previous guides including whether there are microtransactions in Apex Legends, where to download Apex Legends, and whether there's cross-platform support in Apex Legends.